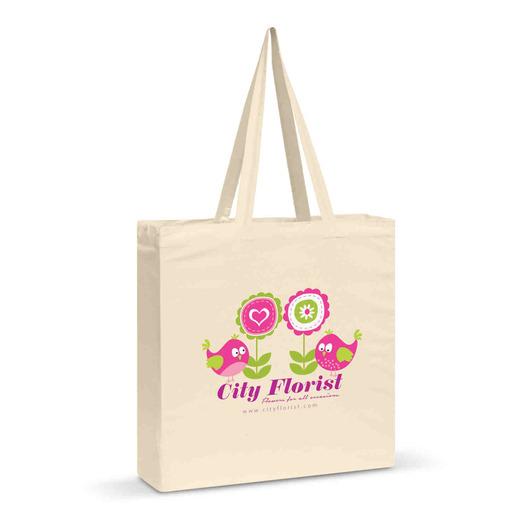 Large environmentally tote bags made from unbleached natural cotton. Get your logo on one of these fantastic bags today. They're large in size and are an eco-friendly tote bag with gusset which is made from unbleached natural cotton. They also feature longer handles allowing for comfortable carrying on the shoulders.